Discussions on the significance of federal income tax rates are important to policymakers and policy analysts in the United States due to its (federal income tax) perceived impacts on employment rates (the number of employed people as measured against the population of people that have attained the working age). Local governments, state governments, as well as the federal government levy the income tax, with the taxing regime varying with the amount of money earned by an individual. Additionally, each jurisdiction has its tax rates that eventually affect the sum individuals pay to the federal, state, and local governments. The complex nature of the United States economy makes the tax laws complicated as some states have income tax laws that contradict the federal tax laws, while others lack such laws. Nonetheless, income tax remains a vital source of revenue that allows the federal government to offer services and meet the expectations of citizens. According to the U.S. Department of the Treasury, individual income taxes are the major contributors to the national revenue as they generate approximately five times more than the revenue from corporate income tax (par. 12). Economists support dissenting theories to explain the relationship between economic growth, taxes, and unemployment rates. For instance, economists who adhere to the Neo-classical view insist that levying corporate income taxes reduce capitalists’ desire to invest in the economy resulting in fewer jobs and low wages. At the same time, another group of experts is of the opinion that reducing the federal tax rates results in increased circulation of money in the markets thereby reducing unemployment and strengthening the economy. To validate such observations, it is appropriate to analyze historical data on the United States federal income tax rates and levels of unemployment. This paper supports the argument that the federal income tax has an impact on the levels of unemployment in the United States. An analysis of the longitudinal changes in the levels of unemployment and federal income tax rates (corporate and individual) can help unravel if indeed there is a relationship between the two. Beginning with trends of income tax rates, many Americans often complain that the current federal income tax rates are high even though historical data from the 1930s indicate that federal tax rates have declined significantly since 1932. The federal income tax rate is currently 35% (Bureau of Labor Statistics), which is notably the lowest level ever to be witnessed in eight decades, and more so considering that it was as high as 39.6% during Bill Clinton’s presidency and even higher, 50%, when Ronald Reagan was president. President Reagan ratified the Tax Reform Act (1986) into law, a move that resulted in far-reaching effects on the United States’ tax system. One of the consequences of the Tax Reform Act was the reduction of the tax rates levied on personal income from 50% to 28%. The federal tax rates became the lowest since 1913 when the national government started collecting taxes from businesses and civilians. A major anomaly in the federal income tax rates occurred between 1988 and 1992 when the value fluctuated between 28% and 31% (Bureau of Labor Statistics). A significant recession had set in during this period, and the government sought to ease panic among American citizens and businesses by easing taxes to facilitate economic activities. However, these fiscal measures failed to yield any significant improvements in the economy as the gross domestic product plummeted while unemployment levels increased. G. H. W. Bush who was the president at the time took counsel from his advisors and increased the federal taxes especially on the wealthy. The decision is often cited as one of the factors that made G. W. H. Bush lose his popularity as a president, and led to the triumph of the Democrats in the 1992 elections. Although the levels of the federal income tax rates remained moderately steady between the year 1940 and 2016, unemployment levels have shown striking fluctuations. For instance, the levels of unemployment increased during the post-war recession after the Second World War. During this period, many factories that had been producing military equipment for the war in Europe and Asia shut down or reduced their operations leaving many individuals jobless. It is imperative to point out that the graphs used in this analysis focus on the period from 1946 to 2016 in a deliberate attempt to avoid the activities during the Second World War—data on employment and unemployment have been noted to be either scarce or inaccurate in the period during and before World War II. The recent financial crisis of 2007/2008 had a significant impact on the unemployment levels in the United States as the rates reached as high as 9.6%. Such levels of unemployment were also witnessed in 1982 and 1983 when the rates stood at 9.7% and 9.6% respectively (Bureau of Labor Statistics) due to yet another economic recession. The national government responded to the recession by reducing federal income taxes on individuals and corporations to remedy the economy. As a result, the level of unemployment reduced from 9.6% to 7.0% in the years that followed until 1989 when another economic downturn started (Bureau of Labor Statistics. It is worthwhile to note that markedly low levels of unemployment were witnessed in 1958 and 1961 when the rates were 6.8% and 6.7% respectively (Bureau of Labor Statistics). A comparison between the graphs on federal tax rates and levels of unemployment reveal distinctly contradicting trends. For instance, the graph on corporate tax rates between 1947 and 2011 reveal a steady decline from the early 1950s punctuated by minor increases in 1969 and 1987. 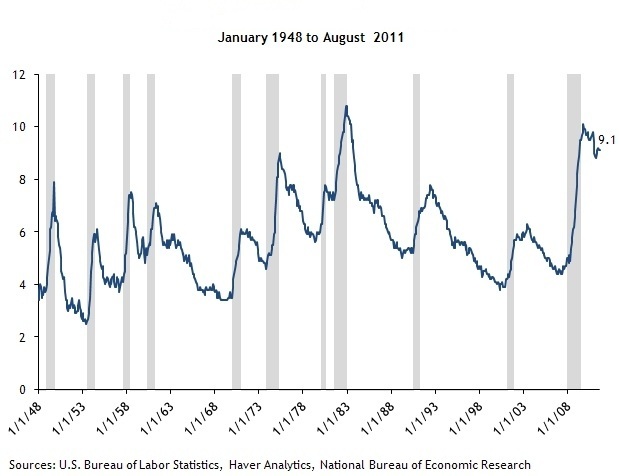 On the other hand, the graph on unemployment level shows random fluctuations in the rates between 1948 and 2016. The primary reason for such an observation is that it takes some time before the effects of a tax change are felt in the economy, and this may be in approximately two to three years. Even so, there seems to be a positive correlation between the levels of unemployment and the federal corporate income tax rates in the United States. The United States government steadily reduced the corporate income taxes while the individual income taxes have remained high since 1949 (National Priorities Organization 1). An inference that can be made from the three graphs above is that a decrease in the federal corporate income tax rates corresponded with a decrease in the levels of unemployment in an unspecified way. Thus, the graphs suggest that increasing the federal income tax rates had a detrimental impact as it weakened the economy. However, even as the levels of unemployment and federal income tax rates may seem related it is improbable to assume that one variable has a direct and intrusively noticeable effect on the other. It is crucial to remember that causation and correlation are different and cannot be interchanged when conducting an analysis or making inferences. For example, proposing that the changing federal income tax rates affect the level of employment may be granted, but suggesting a reverse relationship may not be easy to justify hence might not be easily consented. Economists point out that the levels of unemployment do not affect what the federal income tax rates can be at any moment. The federal legislatures and state regulations determine the income tax rates or none thereof, at the national and state levels. Additionally, legislative and election cycles that often occur through several years may affect the levels of employment and unemployment. It is unreasonable to assume that the unemployment rates determine the federal income tax rates. However, it is possible that the federal income taxes on corporate revenues may have some causative impacts on the prevailing levels of unemployment. 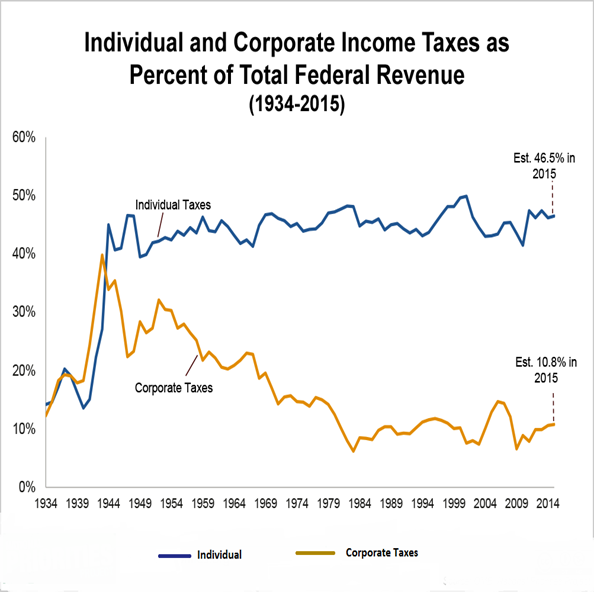 An overview of the effective corporate tax rates levied by the United States’ federal government indicates a consistent and steady downward trend since the early 1950s. The major disruptions in the pattern for the corporate tax revenues occurred in the aftermaths of economic recessions when the government had to intervene in local market activities. The available information suggests that the levels of corporate income taxes could be the most significant component of the federal income tax rates that affect the unemployment rates and economic strength. The individual income taxes levied by the federal government do not show a considerable impact on the unemployment levels. The primary cause of the tax rates are the laws endorsed by the federal government. This confirms the observation that the federal income tax rates affect the levels of unemployment and not the other way round. However, the impacts of the changes in the levels of the federal income tax rates do not happen instantly, but may take two years or more to affect unemployment rates. An argument that can be forwarded to support this observation is that corporate entities require some time to expand their operations and employ more workers when the tax rates reduce. The relationship between the levels of unemployment and federal income tax rates are almost identical from 1947 to 2016. Nonetheless, other factors may also have an impact on the level of unemployment in addition to the federal tax rates on corporate revenues. The Bureau of Labor Statistics intimates that the average rate of unemployment in the United States in 2016 is 4.9% (1). The organization also offers seasonally adjusted unemployment rates in various states, and this information is useful in evaluating the impact of varying income tax rates on unemployment. Recent statistics indicate that the rates of unemployment in various states as follows: Alabama (6.0%), California (5.4%), Arizona (5.8%), Alaska (6.7%), Colorado (5.4%), Idaho (3.7%), Kentucky (5.0%), Iowa (4.0%), Louisiana (6.2%), Kansas (3.8%), Massachusetts (4.2%), Mississippi (5.9%), Nevada (6.4%), Texas (4.5%), Wyoming (5.7%), and South Dakota (2.7%) (Bureau of Labor Statistics). The data on unemployment rates of unlisted states are available at the Bureau of Labor Statistics website, and the above information has been extracted randomly. From the information listed above, it is clear that Alaska (6.7%), Nevada (6.4%), Louisiana (6.2%), and Alabama (6.0%) have some of the highest levels of unemployment in the United States (Bureau of Labor Statistics). On the other hand, South Dakota (2.7%), Idaho (3.7%), Kansas (3.8%), and Massachusetts (4.2%) have the fewest number of unemployed individuals according to the seasonally adjusted unemployment rates for June 2016. According to the data presented above, one would expect states such as Alaska, Nevada, Texas, Wyoming, and South Dakota would have the fewest number of unemployed people. However, Nevada and Alaska rank among the states with the highest rates of unemployment at 6.4% and 6.7% respectively. 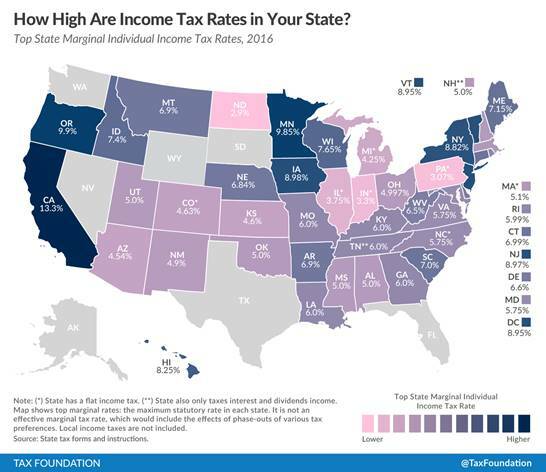 Thus, the varying income tax rates charged by different states shows that the relationship between unemployment and income taxes may not be as straightforward as expected. Several factors may explain the discrepancy seen in the above information. For instance, Alaska may have high unemployment levels despite the low rates of state income taxes because most of the state is inhabited by native communities. Members of such communities rarely find jobs in corporations as they prefer to lead simple traditional lifestyles that involve hunting and fishing for sustenance. Alaska is also sparsely populated. The dominant industries in Alaska’s economy include oil and gas as well as tourism, and these possibly employ few native Alaskans due to the demand for specialist knowledge in such industries. On the other hand, most parts of Nevada are covered by deserts, and this makes it difficult for companies to set up business operations in its territory. Most of Nevada’s populations are densely packed in major cities such as Henderson, Las Vegas, and Reno. Thus, the levels of unemployment would vary in different states due to several factors such as literacy levels, local politics and environmental conditions that influence investment decisions rather state income tax rates only. As can be noted from figure 1 above, the federal income tax rates consist of two components: individual income taxes and corporate income taxes. According to the graphs presented above, taxes on personal income have little impact on the levels of unemployment in the United States. For instance, the graph of individual income taxes shows that the rates have remained consistently high with minor fluctuations since the early 1940s. The corporate income taxes have reduced considerably through time although the United States government had to increase the rates on several occasions in response to economic recessions. 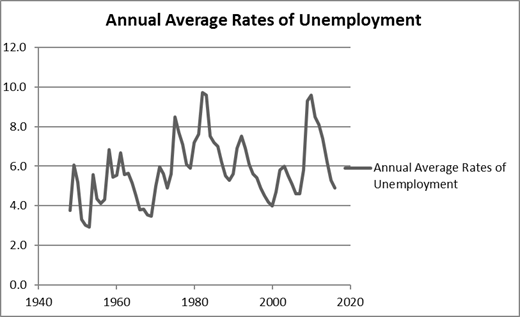 A recurring trend in the levels of unemployment between 1948 and 2008 is that unemployment reduced after each recession as shown in Figure 2. The United States government responded to the recessions by reducing the corporate tax levels, and this strengthened the economy. Nonetheless, the effects of lowering corporate taxes are not immediate. The corporate income taxes are the most crucial in determining the rates of unemployment because they affect investment decisions and operations of companies. For instance, increasing the levels of corporate income taxes lowers profit margins and increases financial burdens on businesses. Thus, companies may respond by reducing the number of workers employed in the aftermath of increases of corporate taxes. Reducing the rates of corporate taxes helps in spurring economic activities as businesses can expand and employ additional employees, thus lowering the levels of unemployment. Furthermore, levying the corporate income taxes helps in reducing the chances of rich business owners from hiding their funds in tax havens. However, the individual income taxes contribute a larger portion of the government’s revenue as affirmed by the U.S. Department of the Treasury (1). Additionally, the federal government should consider reexamining the estate tax rates because the current rates lower the amount of revenue the government gains. The factors that influence the levels of unemployment in the United States are numerous and varied as previously indicated. The federal income tax rates, especially the corporate taxes, have an impact on the levels of unemployment as shown by the historical data. Additionally, imposing high taxes on multinational companies and manufacturing companies encourages such businesses to relocate their operations to other nations where the tax rates are favorable. For example, a Forrester Research study suggests that approximately 3.4 million jobs in the service sector would be relocated from the United States to foreign nations by 2015 (Ramanathan 18). The study showed that offshoring business operations are detrimental to the United States because an increasing number of people will not find jobs and those who are already employed are at a risk of losing their sources of livelihood. Currently, companies such as Apple Inc. manufacture their products in foreign countries where labor is cheap, and the regulations are less stringent than they are in the United States. Furthermore, it is important to consider other factors such as demographic changes, literacy levels, economic conditions, monetary policies, adoption of technologies in businesses, and fiscal policies among others that also influence the unemployment levels. The demographic changes are important determining factors in explaining the high rates of unemployment in the United States. A significant proportion of America’s population has aged just like in many other developed nations in Europe and Asia. The major problem with having an aging population is that many people continue to retire from the labor force, and this increases reliance on support from social security funds. The reliance has a cascading effect as the government is forced to invest more in offering affordable healthcare services to the aged civilians rather than offering better opportunities to the younger generations. The level of literacy is the second factor that affects employment levels in the United States. The chances of securing an employment increase when an individual’s educational attainment also rises. For instance, it is easier for an individual with a Ph.D. qualification to get a decent job than a college or high school graduate. For example, the high level of unemployment in Alaska may be attributed to the level of illiteracy among native populations. Economic condition is the third factor that can affect the unemployment levels in the United States. A period of economic recession is often characterized by high rates of unemployment as many companies lay off workers to reduce financial burdens. A glance at the second graph shows the relationship between occurrences of economic recessions and rates of unemployment from the 1940s to 2008. 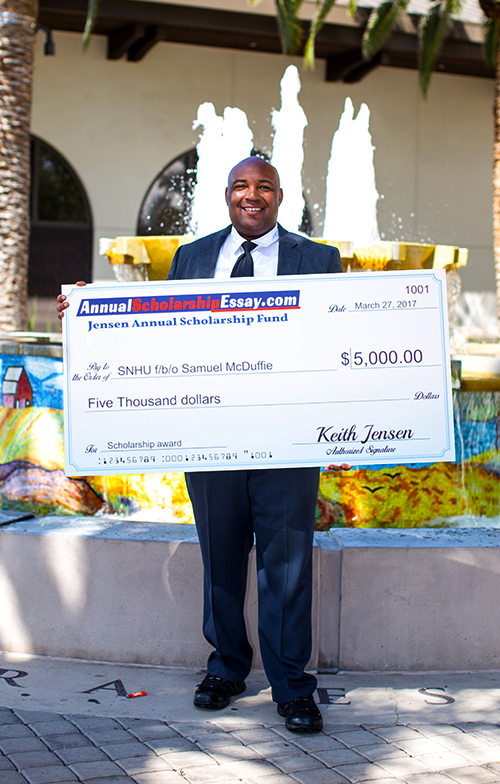 The fourth significant factor is the monetary policies implemented by the federal government. The Federal Reserve is tasked with maintaining low inflation and unemployment rates through interest rates adjustments during recessions. The Federal Reserve increases the interest rates when the economy improves to enable the government to increase its revenue generation. The agency lowers interest rates to make loans affordable, and this encourages investors to borrow and expand their businesses. The increased borrowing activities result in the revitalization of economic activities, thus allowing businesses to hire more workers. Furthermore, the Federal Reserve can regulate economic activities by controlling the amount of money circulating in the United States economy. The fifth factor that considerably affects the levels of unemployment in the U.S. is the use of technology in various industries and sectors. Automation of operations in factories and farms causes many individuals to lose their jobs although business leaders praise the adoption of technology as a cost-saving. For example, installing a robot in a factory or using a mechanized sprayer on a farm results in workers being laid off from being redundant or irrelevant. Lastly, the fiscal policies influence the unemployment rates through the federal government’s interventions to control its budget deficits. For example, the federal government can reverse a downward trend in the economy by cutting taxes to encourage businesses and individuals to spend, thus stimulating economic growth and increasing employment opportunities. Additionally, the federal government can increase its spending in specific industries or opt to bail out financially distressed businesses to increase job openings (Arnold 229). Lastly, the federal government can offer benefits or compensation to the unemployed individuals for sustenance, thereby facilitating economic activities among retailers and other service providers. The federal income tax rates have an impact on the unemployment levels in the United States as they affect economic growth and investment decisions. For instance, increasing the federal income tax rates on businesses discourages them from expanding their operations or recruiting more workers while reducing the rates improves economic vitality and increases employment opportunities. Nonetheless, it is important to point out that the federal income tax consists of the taxes on corporations and taxes on individuals. The individual income tax remains a major source of revenue to the federal government although it does not directly influence the unemployment levels. The corporate income tax has the greatest impact on unemployment levels as indicated by the available data, and the relationship between the two exists as a negative correlation. Thus, it is necessary to adopt legislatively the corporate income tax to help in minimizing unemployment in the United States. The primary basis for making this suggestion is the realization that reducing the corporate income tax encourages investors to expand their businesses, thus creating additional employment opportunities to the local communities. Arnold, Roger A. Macroeconomics. Mason, OH: Thomson/South-Western, 2008. Print. Ramanathan, T R. The Role of Organisational Change Management in Offshore Outsourcing of Information Technology Services: Qualitative Case Studies from a Multinational Pharmaceutical Company. Boca Raton, Fla: Dissertation.com, 2009. Print.